16th Nov 2009, 3:57 AM - Check back on Saturdays...? I don't know, I think she might pull it off... She's one tough kitty. 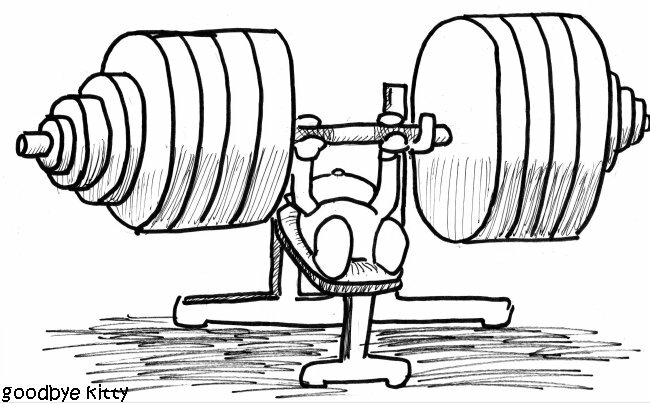 Seriously though, never bench press without a spotter.